Special counsel Robert Mueller may have reached “a turning point” in his Russia investigation, said Barbara McQuade in TheDailyBeast.com. Lawyers for Michael Flynn, President Trump’s former national security adviser, reportedly notified the president’s own legal team they would no longer share information about the investigation, and then met with the special counsel’s team. These developments heavily suggest that the retired general “has decided to cooperate with Mueller” in exchange for leniency. If Flynn does agree to flip, he will surely be a star witness. He was one of the first to join Trump’s inner circle during the campaign and became a trusted aide who had repeated contacts with the Russian government. If there was any collusion between the Trump campaign and Moscow, Flynn probably knew about it, and how it worked. “Flynn has plenty of motivation to make himself useful to the Feds,” said Eric Levitz in NYMag.com. During the campaign, he failed to disclose that he was on a foreign country’s payroll (Turkey’s); Mueller has already indicted former campaign chairman Paul Manafort for a similar offense. Flynn left the White House in February after revelations he’d lied to the FBI about discussing sanctions with the Russian ambassador. Mueller’s first cooperating witness, former campaign adviser George Papadopoulos, also was accused of lying to the FBI. The special counsel is also looking into Flynn’s “alleged role in a bizarre plot” to kidnap a dissident Turkish cleric living in Pennsylvania, said Abigail Tracy in VanityFair.com. 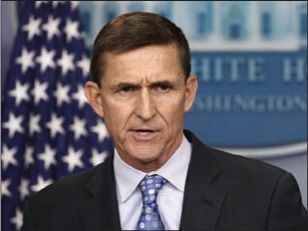 In a meeting with Turkish officials in December 2016, Flynn allegedly discussed kidnapping cleric Fethullah Gulen and sending him back to Tu rkey in exchange for $15 million. Michael Flynn Jr. was also present at that meeting, and if the elder Flynn does cut a deal with Mueller, it may be to save his son from prison.